Dimensions: 7.25 x 12.75 x 23.50 in. The Pool Blaster Volt FX-8Li is designed to clean the largest in-ground pools easily and effortlessly, the Volt FX-8Li uses an Ultra-High Flow pump to provide more power and suction than the standard Pool Blaster Max. 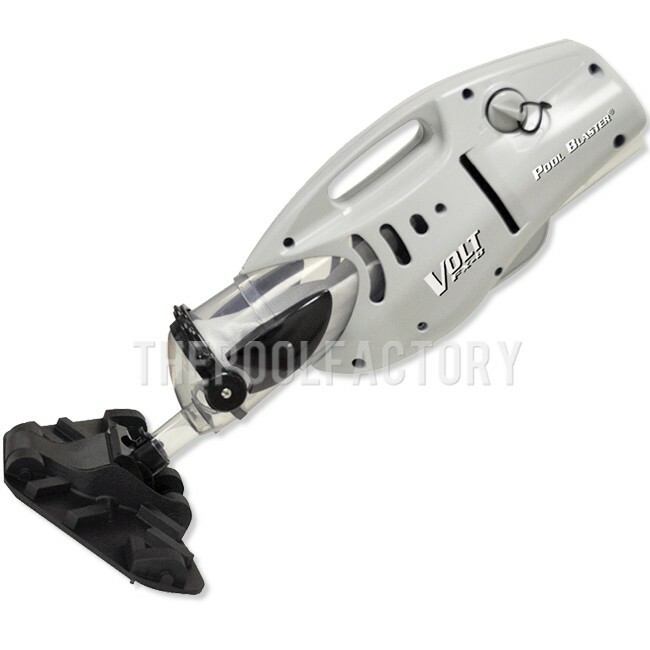 The Volt FX-8Li comes with a versatile 13 inch flexible vacuum head, the integrated spot cleaning/corner nozzle, or the easy-to-clean. With its larger debris chamber and reusable, high capacity filter bag provides 30% more debris capacity than the Pool Blaster Max.